St. Veit is a town in the Pongau area of Salzburg, situated in a central location right at the Salzach valley (the main valley of the province). Therefore, St. Veit is well-connected and accessible via trains and the motorway. It is one of two communities that form the travel destination of "Salzburger Sonnenterrasse". The other one is neighbouring Schwarzach, which is an important transportation hub. 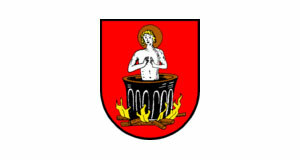 St. Veit has a total population of approximately 3,500. The village claims to be the first spa town of Salzburg that offers a medically suitable air and climate - the spa character of St. Veit is nonetheless rather under-whelming and confined to the local hospital and some spa-ish facilities (e.g. special hiking paths). That being said, the climate of St. Veit is indeed unusual: The village centre is situated at a plateau and cold winds are usually weakened by the massif mount Hochkönig. The Salzach river makes a 90 degrees curve at St. Veit. This geographic frame results in significantly less rain in St. Veit than in many other areas of Salzburg and makes it the sunniest community of Salzburg outside of the even more sheltered (and sunnier, but also colder) Lungau area. This helped to make St. Veit a spa town for the particularly good air that is supposedly healthy for people suffering from respiratory conditions. The local clinic was founded for this very reason in 1912. The Austrian writer and playwright Thomas Bernhard was treated here for his tuberculosis and made St. Veit and neighbouring Schwarzach locations that featured in his partly autobiographic novel "Die Kälte". One of the hiking paths that are often used by patients is named after Bernhard, despite his rather difficult relationship with Austria. On contrast to many other towns of the Pongau area, St. Veit is not a very touristy place. It is well-connected to some of Austria′s finest skiing areas, but you would be better off by your own mean of transport if you were planning to stay there. At the snow festival (Schneefest) in January or February, some people come on excursions, but rather locals than international visitors.